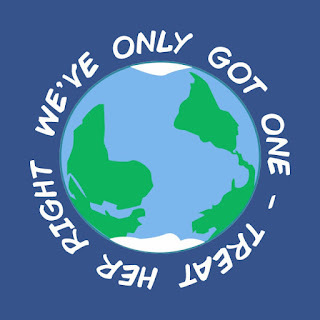 Earth Day is celebrated each year on April 22. It was founded by Gaylord Nelson, who was a Wisconsin senator. In 1969, there had been a terrible oil spill in California and Senator Nelson wanted to encourage people to work together to protect the environment. Now people all over America come together on Earth Day to clean up parks and waterways, plant trees and clear off invasive plants off of public lands. This year the focus of Earth Day is on protecting the world's many species of plants and animals. There are millions of species we know and love and many more to be discovered. Unfortunately, humans have upset the balance of nature so much that the world is facing the greatest rate of extinction since we lost the dinosaurs more than 60 million years ago. All living things have a value and play a unique role in the complex web of life. We can help endangered and threatened species by learning more about them. Bees, coral reefs, elephants, giraffes, insects and whales are just some of the species facing this danger. Make every day Earth Day by doing what you can to help protect life on our planet. In the past few years, the world of biographies has blossomed with the addition of picture books. These books provide a wonderful introduction to important figures in our history. The art in the books bring their stories to life, adding detail not found in the narrative. As I was strolling down our biography aisle recently, I came across some wonderful picture book biographies that I'd like to share with you. Danza! 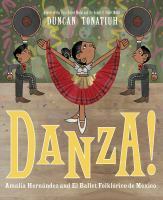 Amalia Hernández and el Ballet Folklórico de México by Duncan Tonatiuh, tells the story of Amalia Hernández who was enthralled with the dancing on the streets of Mexico City as a child. Amalia convinced her parents to let her study ballet and modern dance. She became a choreographer and dance teacher whose inspiration of the traditional folk dances of Mexico were highlighted in her performances. Kathryn Erskine is the story of Miriam Makeba, who grew up in South Africa during a time when nonwhite people lived in the oppressive conditions of apartheid. She was encouraged by singers Ella Fitzgerald and Billie Holiday and she sang songs of protest in other African languages to disguise the lyrics. In 1959, Makeba left South Africa and was forbidden to return, which sparked her thirty-year campaign to draw worldwide attention to apartheid. The bright paintings depict her powerful voice, while more somber colors depict the oppressive conditions of apartheid. 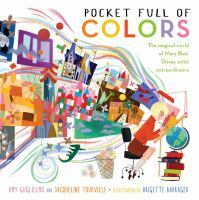 Pocket Full of Colors: the Magical World of Mary Blair, Disney Artist Extraordinaire by Amy Guglielmo describes the life of Mary Blair, who lived her life in color when the world wasn't quite ready to be as colorful. Mary was an imaginative child who become an illustrator, designer and an animator for Walt Disney. At the time, movie studios only wanted to hire men and produced in black and white. Mary did not want to conform to those rules and painted twinkling emerald skies, peach giraffes with tangerine spots and magenta horses that could fly. She was just what Walt Disney was looking for to change the world of animation. The world of picture book biographies offer children a look into the lives of real people and offer countless inspirations. Some books remind us of a forgotten hero. Others help us appreciate an iconic figure even more. Writers and illustrators of picture book biographies shine a light on both the picture book and biography genres and allow us the opportunity to appreciate their creative cooperation. People love to believe in unicorns, so it is only natural that they have their own special day. National Unicorn Day is celebrated annually on April 9th. 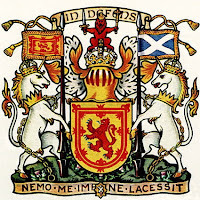 has special significance in Scotland because the unicorn is the national animal. There are legends about the power of unicorn horns. The unicorn was the symbol of purity, innocence, masculinity, and power in Celtic mythology. 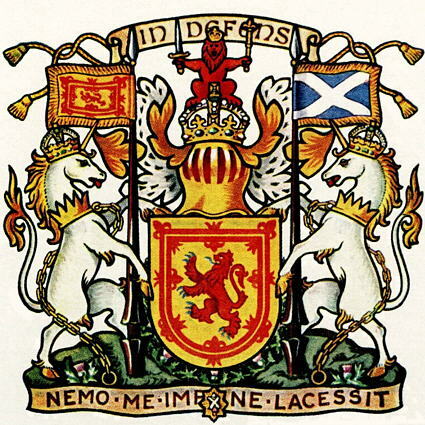 During the reign of William I, in the twelfth century, the Scottish royal coat of arms began using unicorns. The two unicorns are depicted with chains around their necks. It is thought that since unicorns were seen as powerful animals, the chains may symbolize that the Scottish kings were so strong that they were able to tame unicorns. While unicorns may not be real, the concept of them goes way back in time and they are an ever-present part of today's culture. 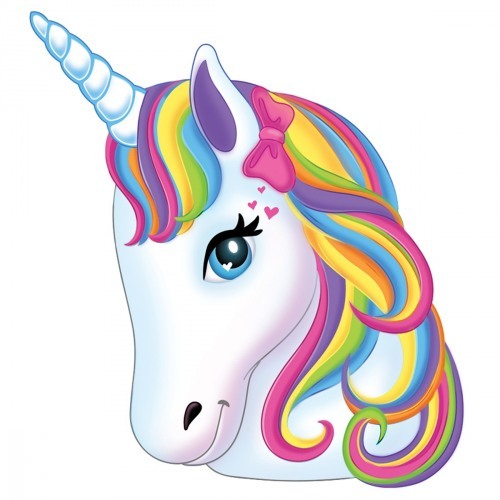 Unicorn merchandise is everywhere, such as unicorn headbands or sweatshirts with unicorn hoods. 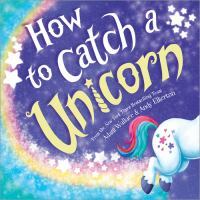 How to Catch a Unicorn by Adam Wallace is a book designed to help you catch that elusive unicorn. Join the kids as they visit the zoo and try to capture the unicorn who is there visiting his animal friends. Will they get to pet that beautiful rainbow colored mane? careful when making a wish. 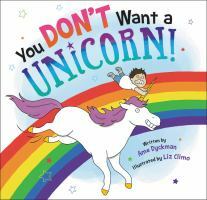 A little boy makes a wish for a pet unicorn in a wishing well and finds out unicorns don't make the best pets. They make big messes, poke holes in your ceiling and boy do they shed! For those of you who enjoy graphic novels, check out the Phoebe and Her Unicorn series by Dana Simpson. Phoebe's adventure started when she accidentally hit a unicorn in the face while skipping a rock across a pond. Incredibly she was granted one wish and you know what she wished for - a unicorn! Marigold Heavenly Nostrils becomes her best friend and makes Phoebe realize she is a special person, even if she is a little awkward. A new fictional series, Unicorn Quest by Kamila Benko, is about two sisters, Claire and Sophie, who move into Windermere Manor and uncover a strange ladder in a fireplace which takes them into the magical land of Arden. Arden is made up of four guilds of magic who no longer trust each other and now the unicorns that used to live there have gone. The girls return home but then Sophie disappears and Claire has to return to that world to search of her sister. A third book is coming soon! The unicorn, that most elusive of imaginary beasts, has retained its popularity throughout time. Celebrate their mystery on their special day by stopping by and checking out the world of the unicorn. 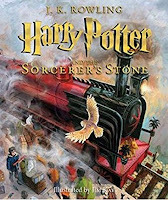 Harry Potter has always been a popular request at the library, but recently the series has been reborn to a new generation with the release of the 20th anniversary editions of the texts and the Fantastic Beasts movies. 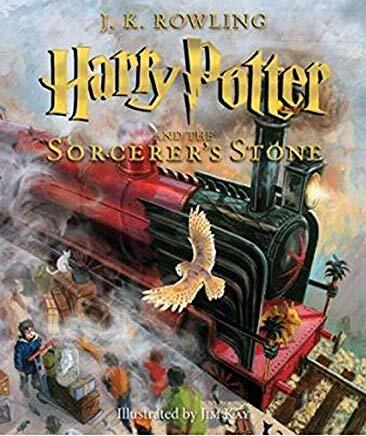 If you have not checked out the illustrated version of the story that began the world's love of Hogwarts and all things Potter, I highly suggest you put it on your future read list. The illustrations are just so beautifully done and add to the tone and mood of the story. You'll need a little more room in your backpack for this version as it's the size of picture book, but it is totally worth it. Once you've read the first book, you know you will want to join Harry and his friends on the rest of their journey at Hogwarts. Don't forget that listening to an audio version of the tales is very enjoyable too! If you're like me, you wouldn't mind having some wizarding skills. I can just imagine going to see Mr. Ollivander and selecting my wand. Well, you don't have to travel to Diagon Alley to get one, you can just stop by the Roselle Public Library. 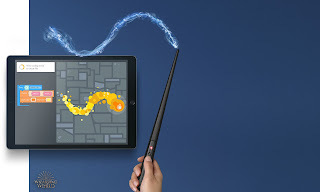 Recently, we have added two Harry Potter wands to our science kits. You can now join the wizarding world and perform some magical spells (just please don't turn me into a toad). If you decide you want to watch the movies for more inspiration, we have all the titles in Blue Ray and the regular DVD format. You may also want to check out The Wizarding World website. You can find out your Hogwarts house (mine is Gryffindor) and learn more about the history of the characters, other schools, potions and much, much more. 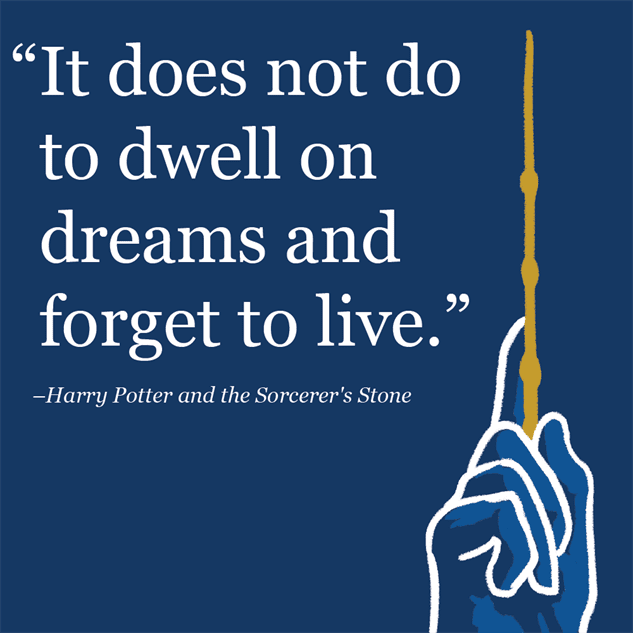 So as I paraphrase the great Albus Dumbledore, "live a little." 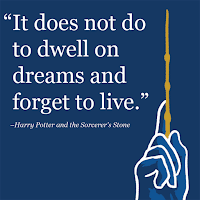 Come explore the magical world of Harry Potter and the Roselle Public Library. Spring on Over During Break! The kids are off from school and you are wondering what to do with them. 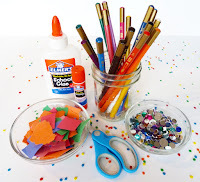 The library is here to help with some fun activities your family can participate in and here is the best part - they are free! 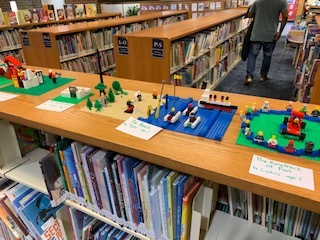 On Monday, March 25, bring your creative self to the storytime room and build with LEGO® bricks during LEGO® Mania from 12-2 PM. Bring a friend or two and join forces to build a masterpiece. Name that masterpiece and have it displayed for everyone to view your incredible work! The Books 'n Cooks program for children in Grades K-2 has added a second session. Join us for stories and cooking on either Monday, March 25th or Wednesday, March 27th from 4-4:45 PM. Learn how to make No-Bake Cinnamon Rolls! Sounds yummy! Grandparents Got Springtime Game is a fun way for children and their grandparents or special grand friends to spend time with the younger generation. Join us for special activities, games and a snack. This is a popular drop-in program that runs from 1:30-3 PM on Wednesday, March 27th. If you've never attended one before, think about attending this one. Hopefully you'll like it so much you'll come back in the summer and participate in the summer version! Do you love creating things? Arts and crafts are right up your alley? Craft Extravaganza is the event for you. 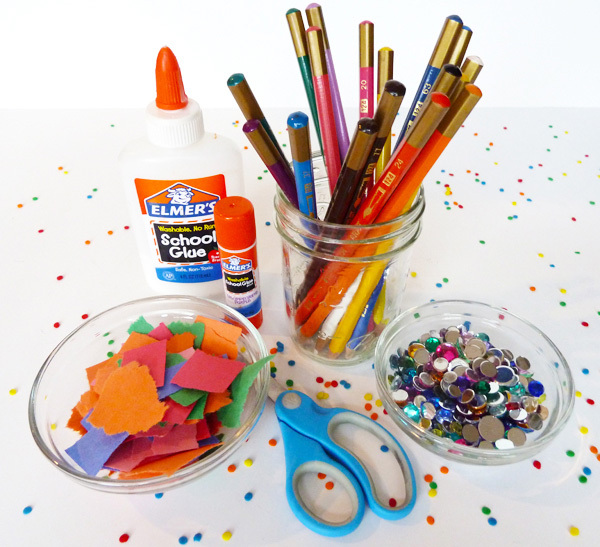 Join us on Thursday, March 28, from 2-4 PM and create, create, create. We cannot wait to see your artistic minds at work! If you haven't been upstairs to Youth Services this month, it is definitely worth the trip. It's like taking a trip to the local art museum. 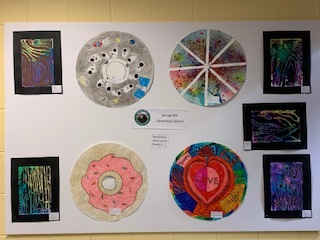 Art work from students who attend the surrounding schools are being displayed on our walls. Enjoy the different mediums which exhibit problem-solving, creativity, observation and communication. 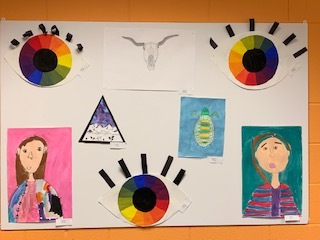 Looking to explore the different styles of art? Take a look at the 700 nonfiction section. 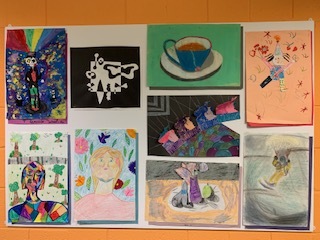 If you are interested in drawing, there are a whole bunch of choices to help you become an expert illustrator like Eric Carle, Walt Disney or Jan Brett. You might enjoy making objects from paper. Then check out all the origami books and practice your folding skills. Look at our numerous craft books and get your creative juices following. Oh, the things you can create! 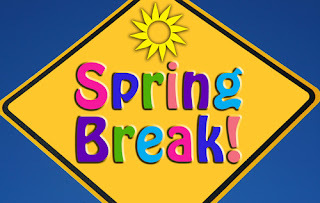 Viewing is limited through the month of March, so don't delay or you will miss them and they will go away! I leave you with these words by Pablo Picasso: "Every child is an artist. The problem is how to remain an artist once we grow up." 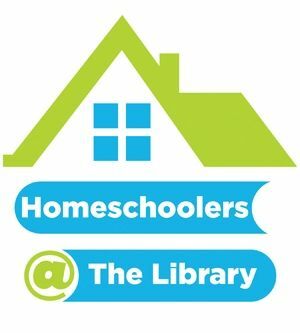 Would you like to meet other families who choose to homeschool their children and live in the area? The library would love to be the place to help you make those connections. Drop by on March 27th from 1-2 PM for Homeschool Hangout. Come hear about the programs the library has to offer such as educational DVDs, online language learning site, book clubs, story times, STEAM Saturdays, 3D printing, Simply Science: Discovery to Go Kits and many more. Then stay for a group activity that will provide an opportunity to socialize and be creative.